At last, it’s the weekend and time for some much needed family fun! Except….your daughter has a soccer game, your son was invited to a birthday party, there’s a mountain of laundry and let’s not forget the dog needs a bath. Sound familiar? Most Colorado parents want to enjoy family time in the Colorado sunshine, but busy schedules can make it nearly impossible. Don’t despair. Here’s where Golden comes in. 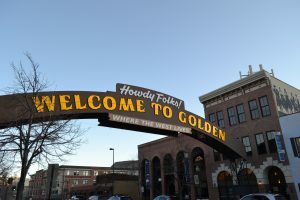 Located only 15 minutes from downtown Denver, Golden feels like a world away with its creek side paths, natural mountain beauty and charming downtown with the iconic “Howdy Folks! Welcome to Golden” sign spanning the city’s main street and cheerily welcoming you and your family. Here are five quick Golden family adventures you’ll love…and you’ll be home in plenty of time for everything else on your weekend to do list. 1. Cowboys & Dinosaurs, Pizza & Cupcakes -- Give your little guy the outing of his dreams with a cowboy and dinosaur themed half-day adventure, complete with pizza and cupcakes. Start at Dinosaur Ridge, where you can run along in the great outdoors looking for dinosaur tracks. Afterwards, head up Lookout Mountain to celebrate Colorado’s most famous Westerner, Buffalo Bill at the Buffalo Bill Museum and Grave. Make it a real home run – stop back into downtown Golden for pizza at Woody’s and cupcakes at Golden Mine Cupcakes. 2. Stroll, Slide, Cross Over, Spot Statues & Picnic at Clear Creek – Just off Washington Avenue and adjacent to Parfet Park, families can experience the beauty of Clear Creek with its walking paths and perfect picnic spots. 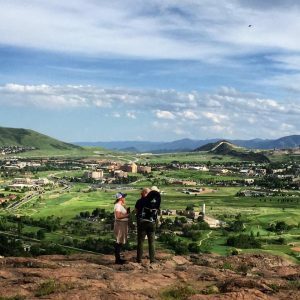 Visitors enjoy scenic and historic bridges, bronze sculptures, the babbling of the creek and the beauty of the foothills, all while checking out the professional kayakers and fly-fishermen that flock to the area. Don’t miss the twisting slide next to the Washington Avenue Bridge, a favorite for the toddler and young kids. Pick up a perfect picnic at the famous D’Deli on Washington Avenue. The kids’ meals are a deal and even packaged in a cute plastic bucket, complete with shovel. 3. 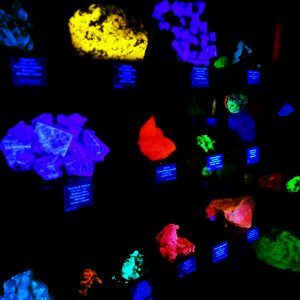 Moon Rocks, Glow-in-the-Dark Minerals & Beauty Queen Tiaras – If you’re looking for an indoor adventure that rocks, head to the School of Mines Geology Museum. With free admission and a friendly staff eager to introduce Colorado kids to the wonders of the natural world, this place is a real gem. Puns aside, you will find shiny gems that dazzle, fossils to educate, and even a moon rock to inspire. The Miss Colorado tiara resides at the museum and the cases of fluorescent, ultraviolet minerals are sure to elicit oohs and ahhs. Afterwards, stop at Goozell’s Yogurt to grab a quick and yummy treat before heading home. 4. Ride the Rails at the Colorado Railroad Museum – Ride the Rails is the perfect multi-generational weekend activity. Bring along grandma and grandpa, as well as the kids, to catch a ride on one of the museum’s steam or diesel locomotives in passenger cars from different eras in Colorado railroad history or experience the uniquely Colorado Galloping Goose. The whole gang will enjoy stepping back in time – and on board - the trains spread throughout the 15-acre railyard. Check out the Depot General Store with thousands of train gifts. 5. Step Back in Time at Golden’s History Park – Your kids will never know they’re getting a history lesson when you walk into the Clear Creek History Park. Catch a glimpse of pioneer life in the 1880s. Check out the one room schoolhouse and frontier cabin, and be sure to visit the chickens in the coop. After pointing out all the chores pioneer kids surely had to do, stroll into Golden and stop in some fun shops. Golden Goods is home to unique toys, cool puzzles, games, candy, souvenirs...they even sell the local version of Dippin&apos; Dots -- "Cool Beans!" Avenue Gifts has a vast collection of stuffed animals, souvenirs and gear for kiddos. 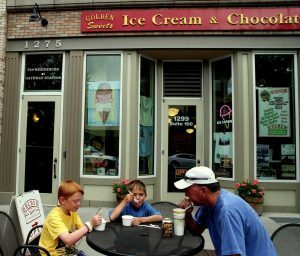 Don’t miss Golden Sweets, an old-fashioned ice cream parlor and candy shop and the perfect end to your Golden family getaway. There’s so much more to do in Golden. Come back to check out the American Mountaineering Museum where kids can check out a crevasse and learn about mountaineering with fun, interactive exhibits. Lookout Mountain Nature Center offers plenty of paths and an educational center where you can learn about wildlife and fauna. The Windy Saddle boasts a room for “lil’ buckaroos” where kids can play while parents sip their coffee drinks or enjoy lunch….There’s so much to do in Golden! 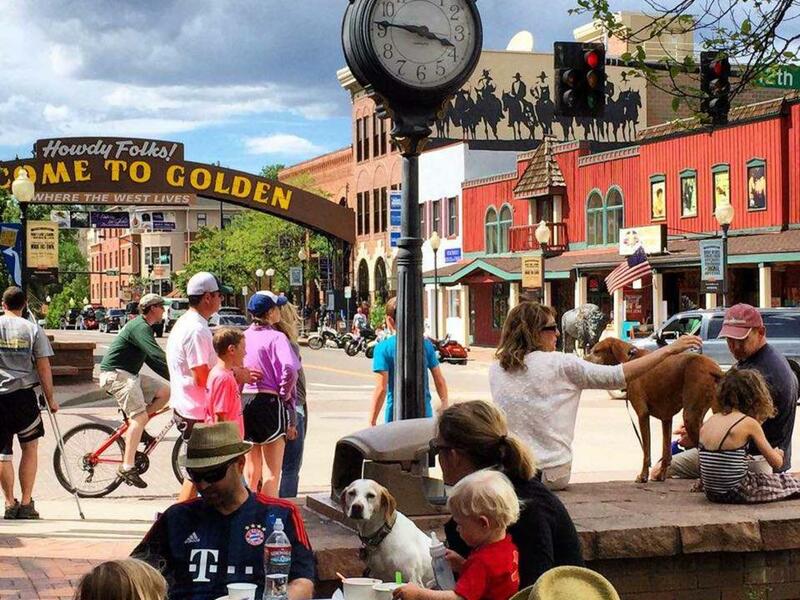 For more ideas for fun adventures in Golden follow us on Facebook, Instagram and Twitter.